When home care for our elderly loved ones simply isn’t possible, or when it becomes too much for families to handle alone, nursing homes are supposed to be there to help protect and care for those who can no longer care for themselves. Sometimes, though, the system that’s designed to protect people in a very vulnerable position breaks down, and physical, verbal, emotional, financial, and even sexual abuse can happen. Here’s what you should know about sexual abuse in nursing homes, including how to recognize the signs, and how to protect your loved one if you suspect abuse is happening. The uncomfortable truth is that though many nursing homes are safe and welcoming places that care for a vulnerable population in the twilight of their lives, the risk of sexual abuse does still exist. An in-depth report by CNN in 2017 found over 1,000 nursing homes that had received citations for the mishandling of cases where sexual abuse was suspected, and even traced the path of one caregiver accused of serial abuse through employment at multiple facilities. If you see signs such as these and suspect that they are caused by sexual abuse, or your loved one has told you that sexual abuse has happened, it is important to get authorities involved as soon as possible. You may contact nursing home administration, or you may wish to go directly to law enforcement. You can also call the police, who will contact the South Carolina Department of Social Services (DSS), or you may reach out to DSS Adult Protective Services in your county for help. Whether your loved one is preparing to enter or is already living in a nursing home, you may ask the administration or management whether there are any policies designed to protect the residents from sexual abuse. Request copies of these policies, and ask how often these policies are updated to stay current with modern law and best practices. Looking at staffing levels in a nursing home is another way to gauge how well the facility is able to care for and protect residents in general, including protecting them from abuse. Staffing shortages may mean there is less supervision available, and a rush for new personnel may indicate that management is not doing a thorough job of investigating the backgrounds of those it hires to look for prior offenses or other red flags. 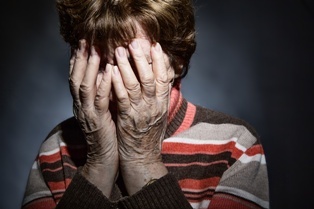 If you suspect that your loved one is suffering from sexual abuse in a nursing home, an attorney with experience handling nursing home abuse cases will be able to provide you guidance on your legal options, as well as connect you with the proper authorities to start a formal investigation as soon as possible. Though a lawsuit cannot undo the harm that has been inflicted, your attorney can help you and your elderly loved one receive civil justice in the form of damages. To get legal help for your family, please call the Law Office of Kenneth E. Berger today. Our professional, caring legal team is here to help you protect your loved ones in this time of need. Our office is located in Columbia, and we proudly serve clients from the Greenville, Charleston, and Myrtle Beach areas, as well as the entire state of South Carolina.